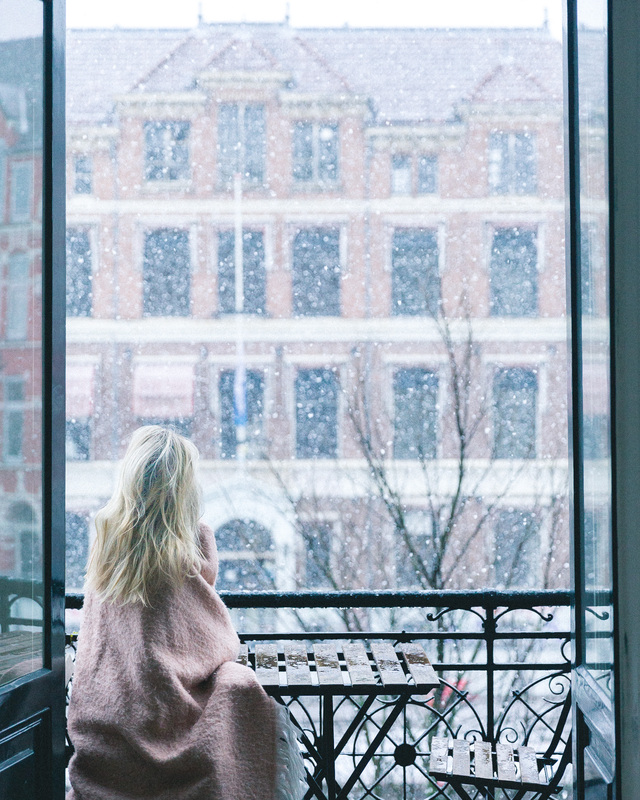 I love wintertime in Europe. 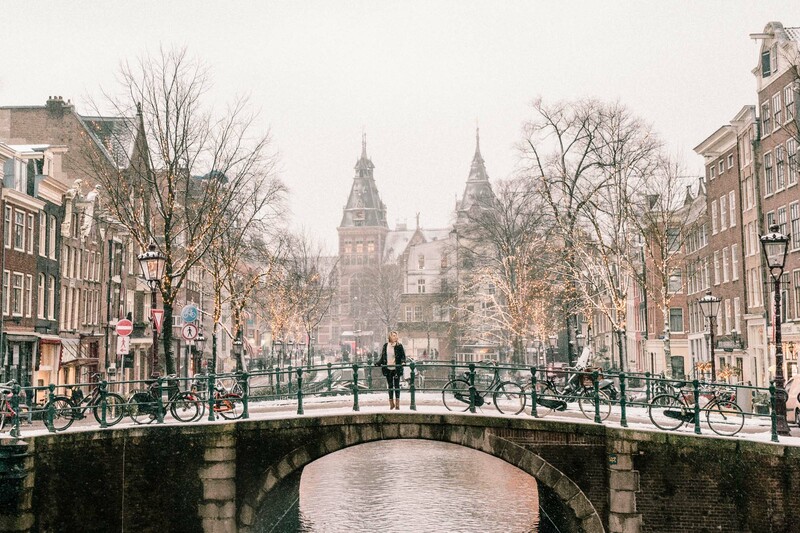 There’s something magical about snow-covered pastel houses and Christmas markets that make everyone cheerful. 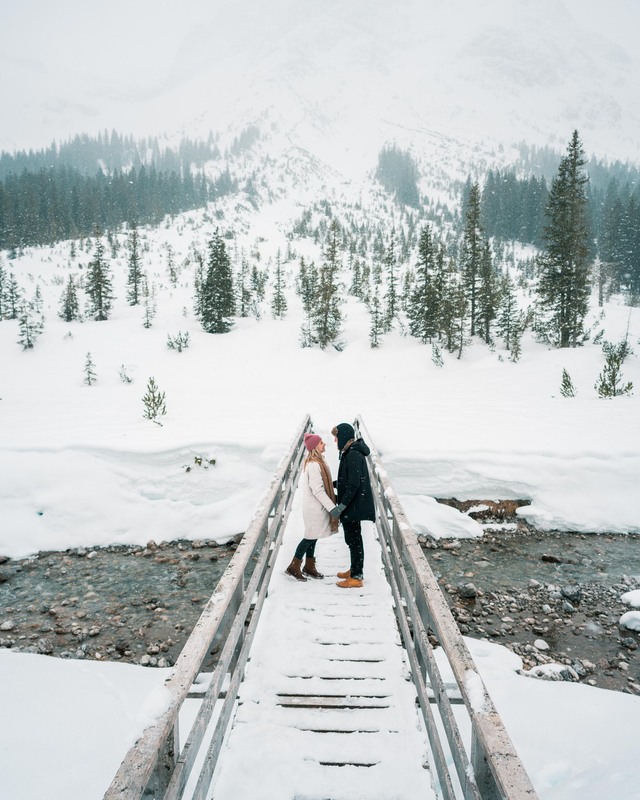 Throughout the past couple of years of living abroad, Jacob and I have been fortunate enough to travel to a variety of winter destinations in Europe. 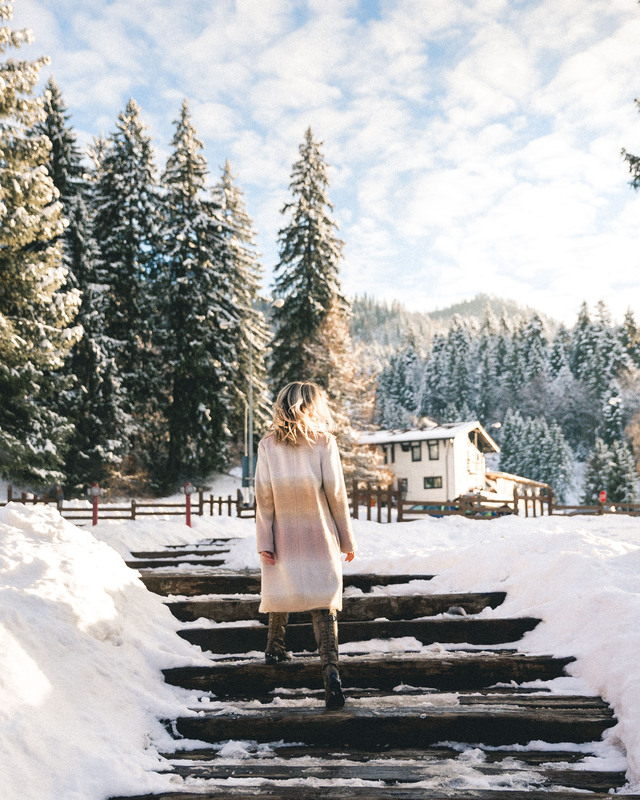 This list covers all our favorites — from tucked-in wood cabins nestled in the Austrian alps, to cobblestone streets lit by twinkle lights in France, to gingerbread houses and snow-covered castles in Romania. Read on for our tips on when to visit, where to stay, and what you can’t miss! When to go: December through February. 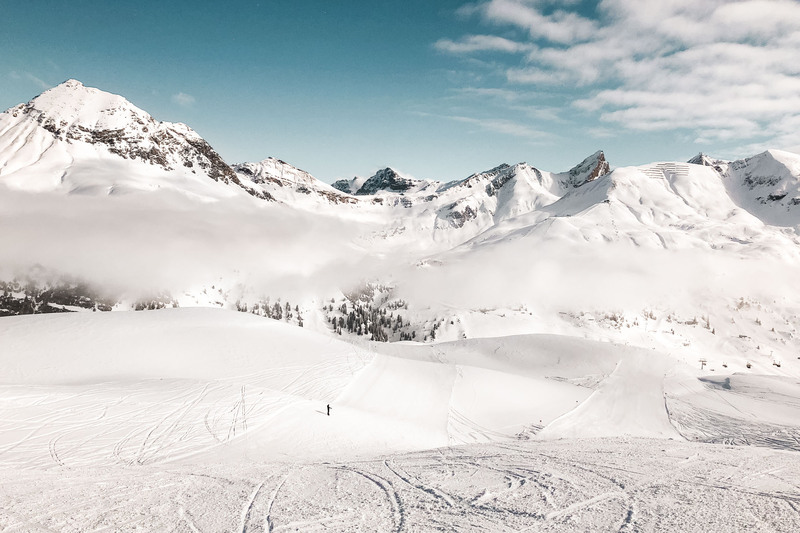 You’ll enjoy less crowds in December, and the peak of the ski season in February. 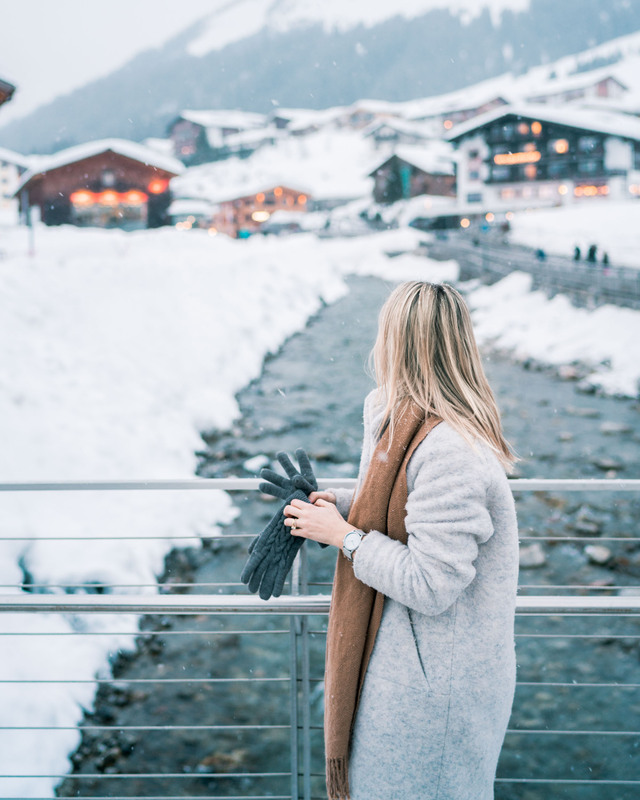 What to expect: A ski town straight out of a postcard, complete with snow-covered Austrian chalets, stunning mountain ranges, cozy gasthofs (guesthouses), and plenty of fondue and cider to enjoy après-ski. Price range + currency: $$$, Euros. 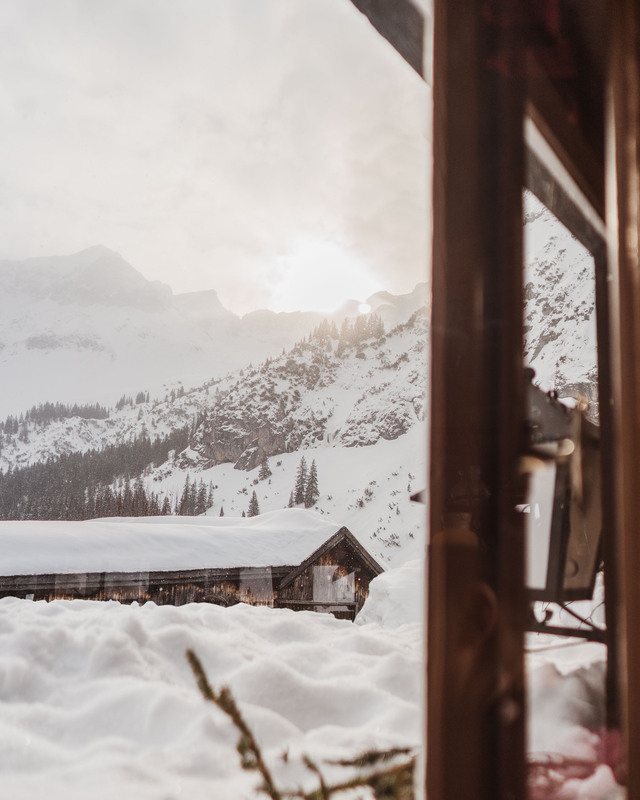 Lech is a favorite among European families, so hotels and guesthouses often book up a year in advance. Book early! 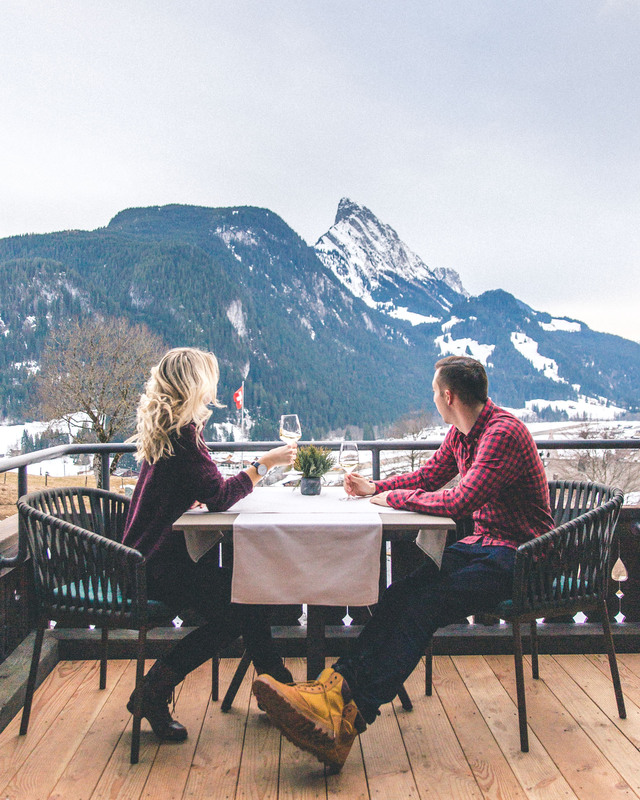 When it comes to ski passes and eating out, you’ll find Lech to be more affordable than U.S. and Swiss pricing. Where we’ve stayed: Gasthof Pension Auerhahn with a group of friends, which is as affordable as it gets. We had shared bathrooms, creaky floorboards, and an owner who served us Schnapps each night — totally silly and totally memorable. Hotel Sandhof is a great alternative option, or for a more luxurious stay in town, check out Hotel Gasthof Post. 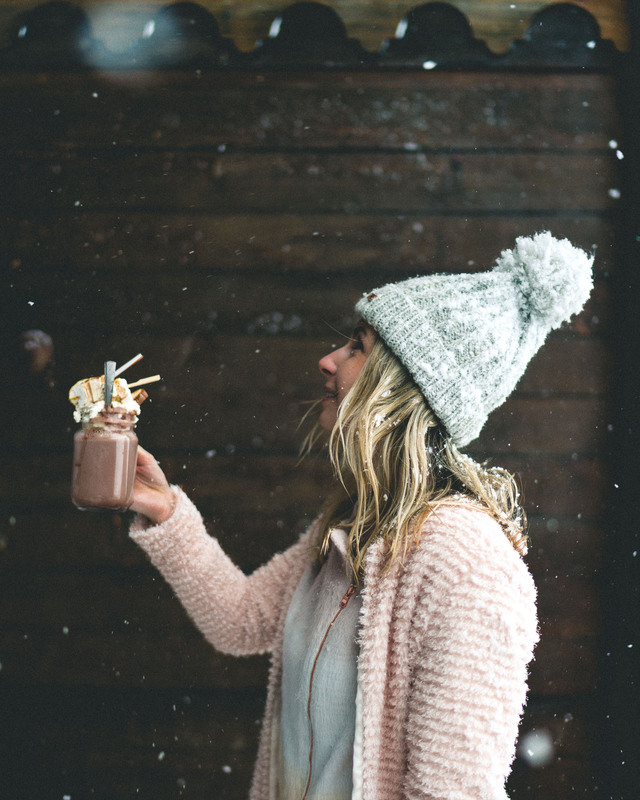 At least one day on the slopes, along with an evening at an après-ski spot. The Mooserwirt is wild. A traditional fondue dinner. We loved Hus Nr. 8 in downtown Lech. When to go: December through April. We loved visiting in December during Christmastime. If sleeping in an Ice Hotel or checking out the Snow Castle is on your bucket list, visit from January through April (after it’s built). 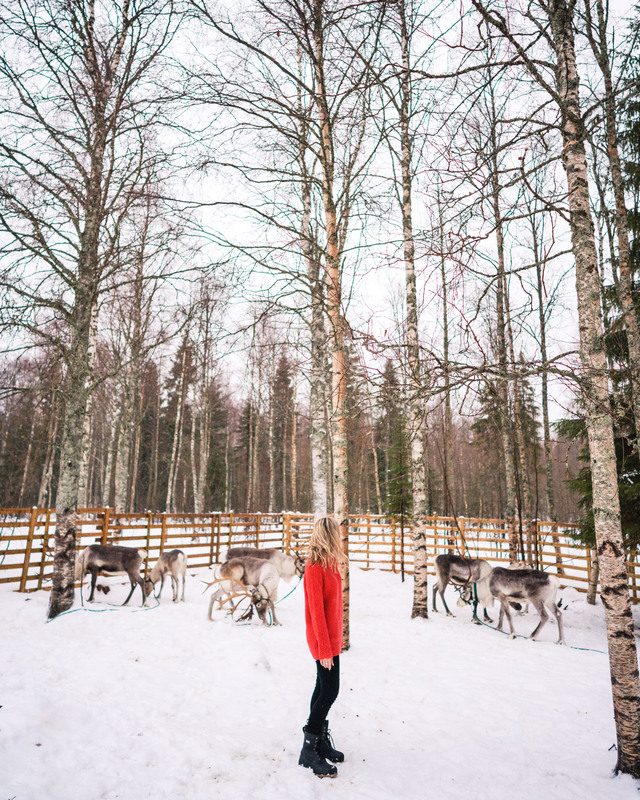 What to expect: Igloos, dog-sledding, reindeer, the Northern lights, and incredible Finnish landscapes. Price range + currency: $$$$ (Euro). 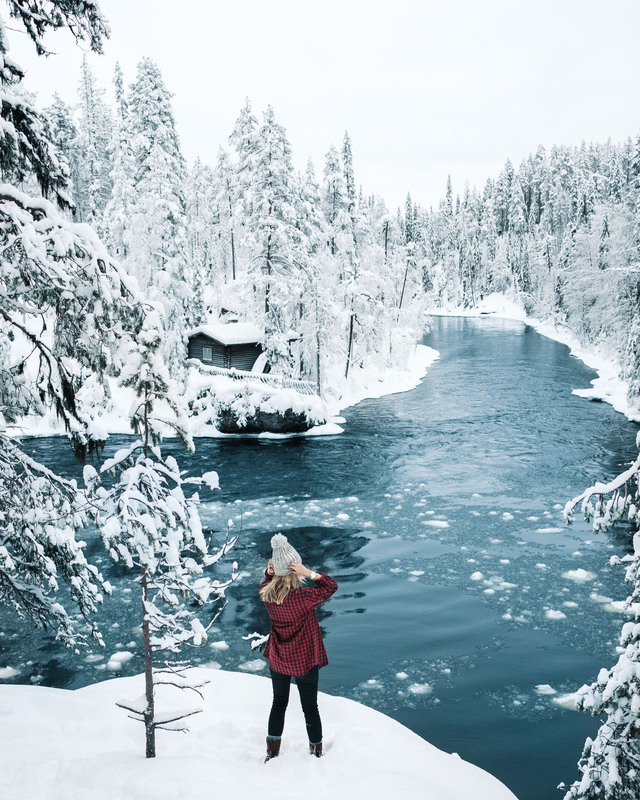 To experience all that Lapland has to offer, planning activities is a must. 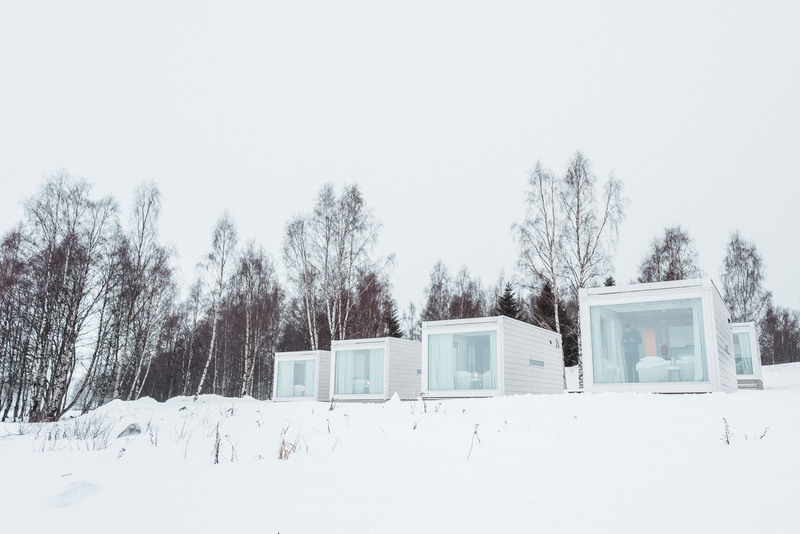 You’ll also want to stay in at least one unique hotel, like the Kemi Glass Villas — steps away from the Kemi SnowCastle. Save money by booking far in advance and bundling together activities. Where we’ve stayed: Kemi Glass Villas and Hotel Merihovi, both in Kemi. 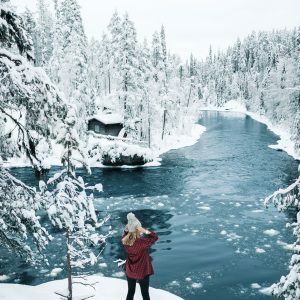 We stayed at the Original Sokos Hotel Kuusamo for easy access to the beautiful Oulanka National Park. At least one night of sleeping under the stars and (if you’re lucky!) the Northern Lights. Take a look at Kakslauttan Arctic Resort or Arctic Treehouse Hotel. Dog-sledding. Ulla’s husky farm is family-run and was easily our favorite experience in Lapland. Floating in the arctic sea – definitely a bucket list item! 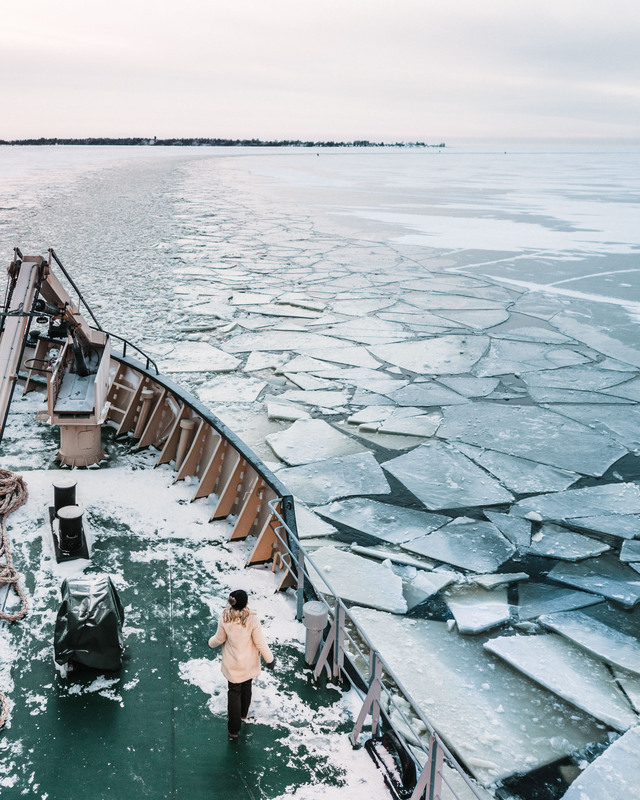 This is possible on the Icebreaker Cruise in Kemi. When to go: November through February. The hills are beautiful year-round, but if you want snow, aim for January or later. 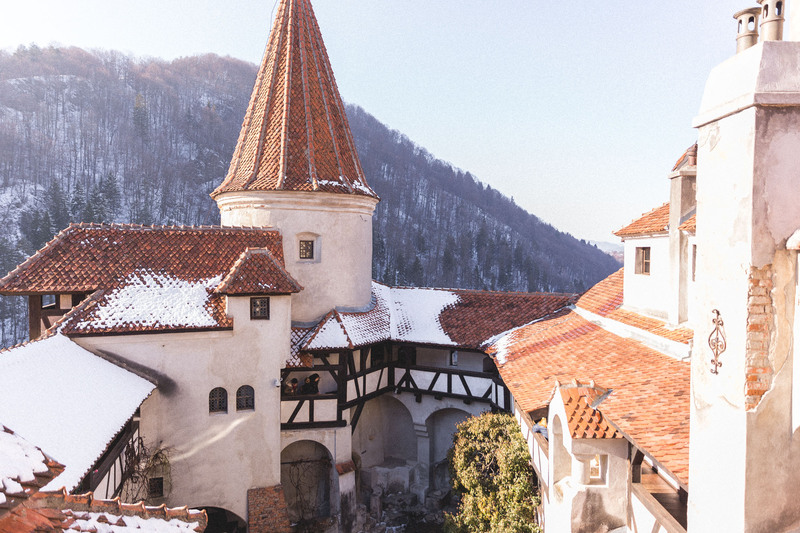 What to expect: Pastel towns and endless rolling hills in the Transylvania region. The area is filled with plenty to see, and is perfect for small road trips and visits to local towns. Price range + currency: $, Romanian Leu. 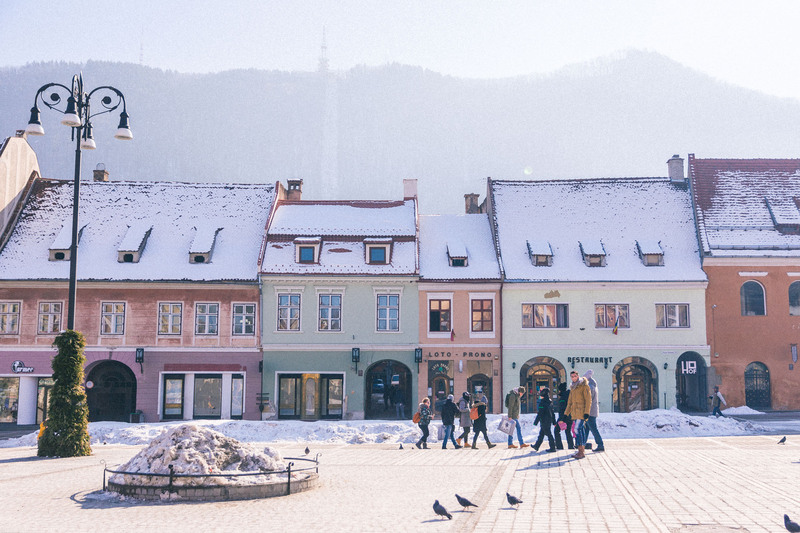 Meals and hotels are affordable in Romania, so your only major cost is getting there. 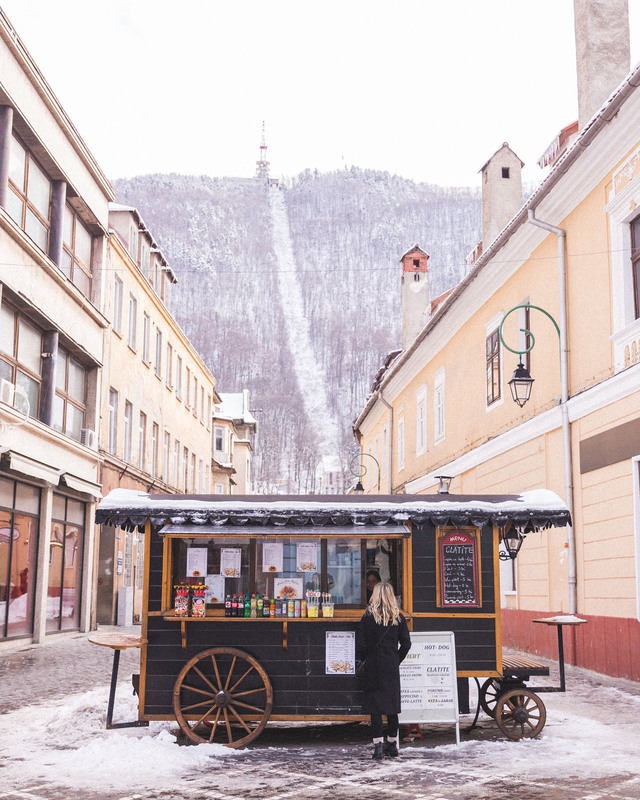 Where we’ve stayed: Teleferic Grand Hotel, located right at the base of ski slopes and nearby the pastel town of Poiana Brasov. 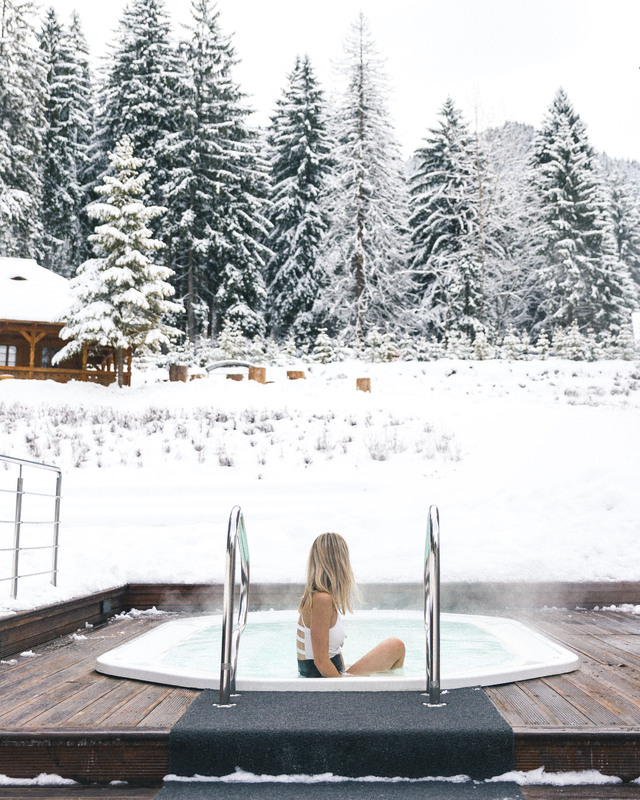 It also has one of the most amazing spas in winter (pictured above). For a memorable stay right in town, check out Hotel Bella Muzica. 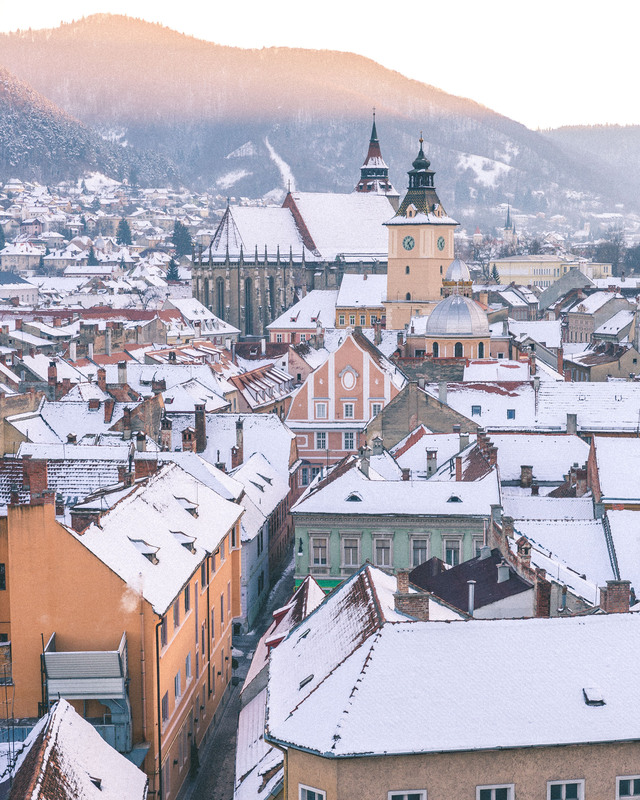 A day trip to Sighisoara, a UNESCO World Heritage Site with a beautiful old town center. 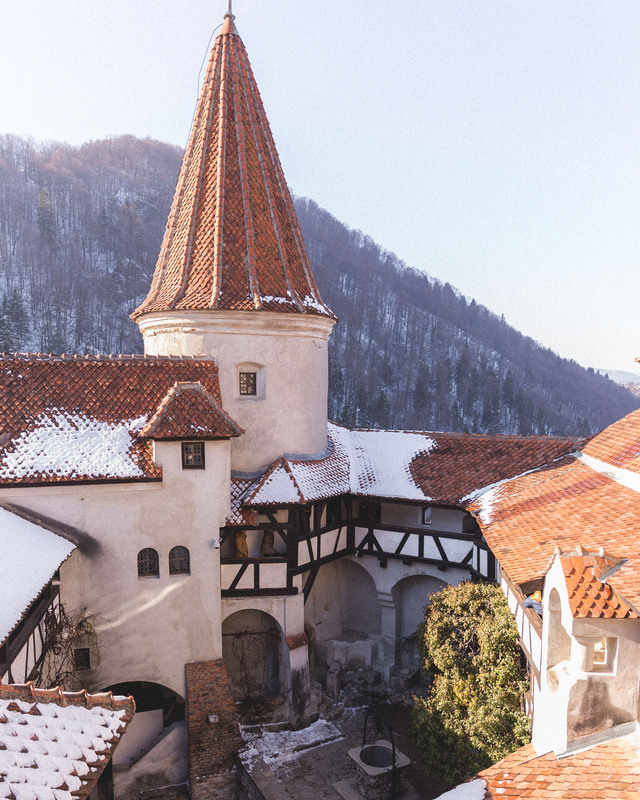 A visit to Bran Castle (Dracula’s Castle). We also loved Peleș Castle. Poiana Brașov, the most picturesque pastel town. Stop for hot chocolate at the unique Doctor Jekelius. When to go: December through February. Snow isn’t guaranteed during the Christmas season, so if you want powder, plan for January/February. 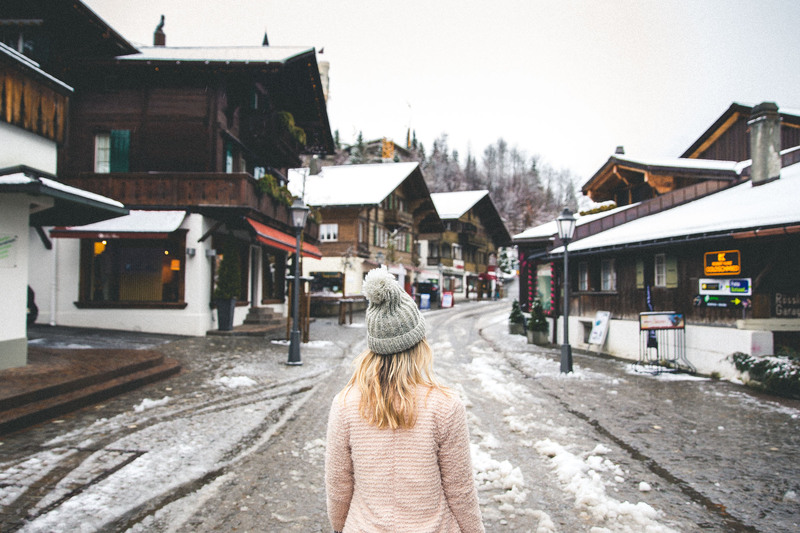 What to expect: A gingerbread Swiss town, surrounded by jaw-dropping mountain ranges and pristine snow-covered rooftops. Plus, some truly unique hotels (and lots of shopping). Price range + currency: $$$$, Swiss Franc. 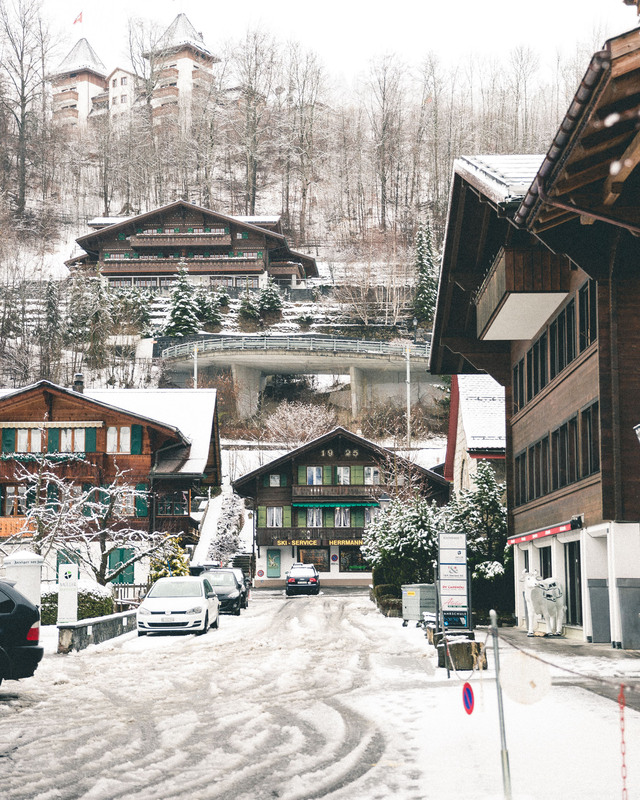 Switzerland is notoriously expensive, and Gstaad is no exception. Be prepared to splurge! 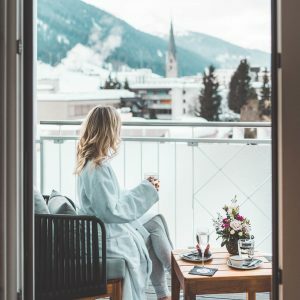 Where we’ve stayed: We absolutely loved our stay at Huus Gstaad, which had the coziest rooms and stunning views of the mountains. It’s still one of our favorite boutique hotel experiences to date. 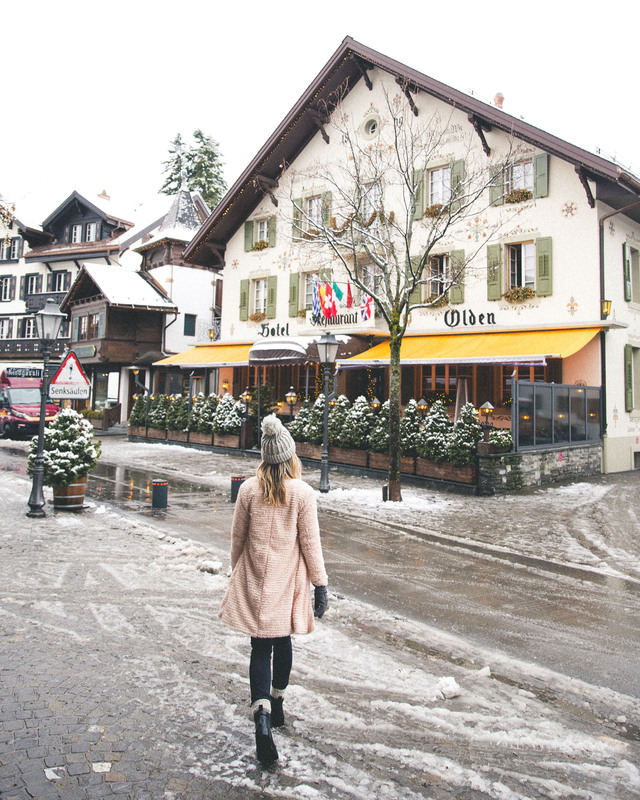 Shopping and wandering the streets of Gstaad, one of the most picturesque towns in winter. If you aren’t staying at Huus Gstaad, at the very least go for a drink at their bar or for their hot chocolate alone (pictured above). Taking the ski lift up to Wasserngrat Gstaad for lunch overlooking the alps. When to go: November through December, for the full Christmas experience. Double check the websites for opening times of any Christmas Markets you’re visiting! 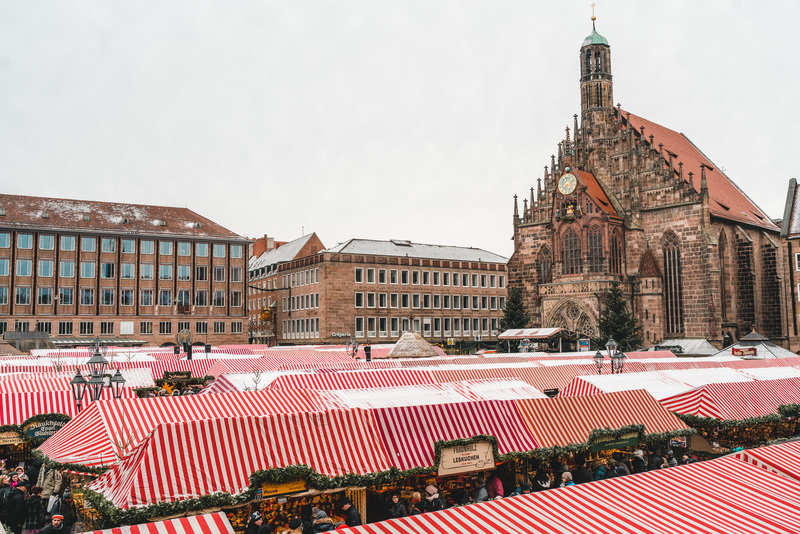 What to expect: Decked out market stands selling everything from Christmas ornaments to German sausages. Mulled wine, giant Christmas trees, caroling (if you’re lucky), and plenty of holiday cheer. Price range + currency: $$, Euros. 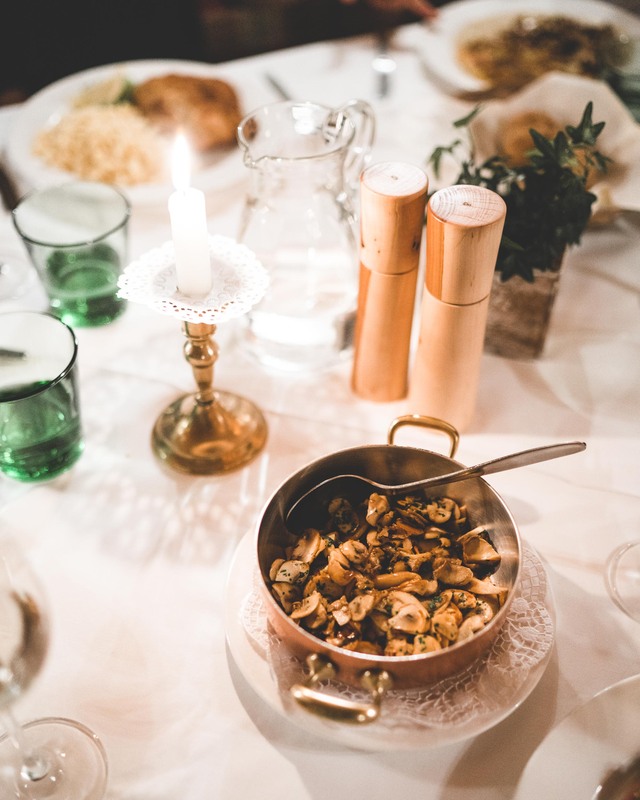 Meals are reasonable since you’ll likely be eating as you explore the Christmas Markets. Hotels will get more expensive as you wait to book, so aim to reserve at least 3 months out — 6 months if you can plan ahead! Where we’ve stayed: A variety of hotels across Germany and France, but our favorites are Hotel Kasteel Bloemendal (actually located in the Netherlands, just a 15 minute drive to the Aachen, Germany market), Hotel Goldener Hirsch in Rothenburg ob der Tauber (they have another hotel in Salzburg, Austria that we just loved) and the historic Steigenberger Grandhotel Petersberg, which is a 40-minute drive outside of Cologne — but so worth the trek. 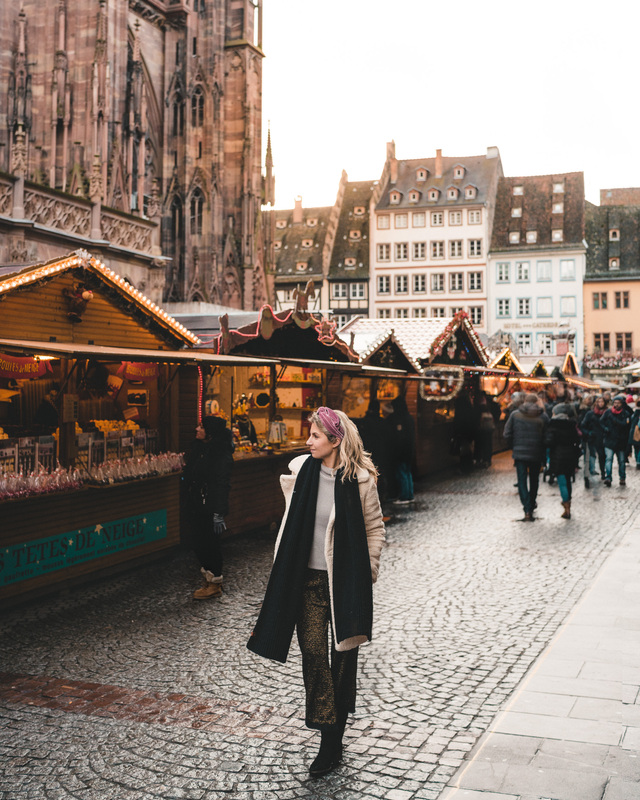 Cologne and Rothenburg Ob Der Tauber in Germany were our favorite Christmas Markets. Collecting your own personal mugs as a souvenir every time you buy mulled wine. Trying the local food at every market you visit. 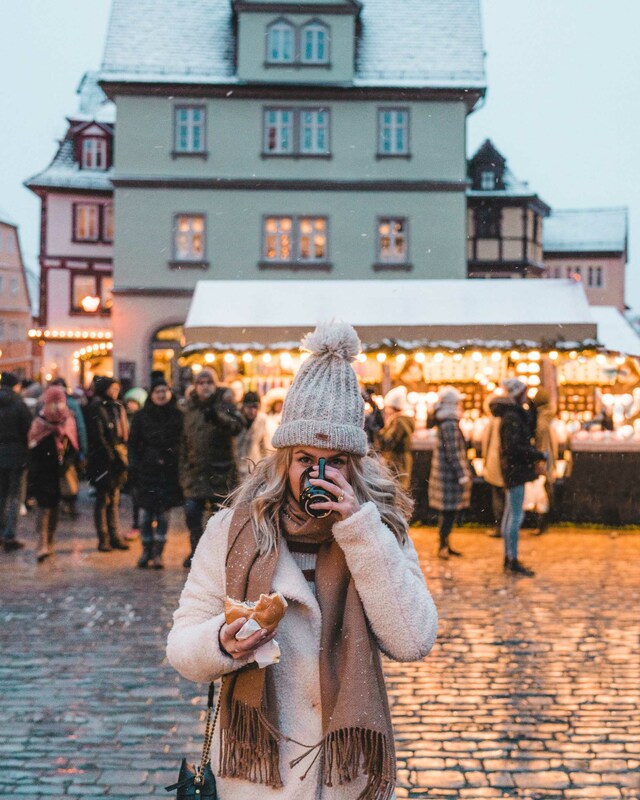 You can’t visit the Nuremberg market without trying their famous Nuremberg Gingerbread! When to go: November through January. For Christmas decor and markets, visit in December. Ice-skating takes place in the museum square from November through January. 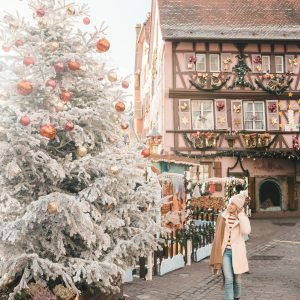 What to expect: Ice-skating in the museum square, local Christmas markets, cozy (“gezillig” in Dutch) cafés, a giant Christmas tree in Dam Square, and romantic evenings on the canals. Snow isn’t as common in recent years, but cold fronts often bring snowfall a few days each winter. 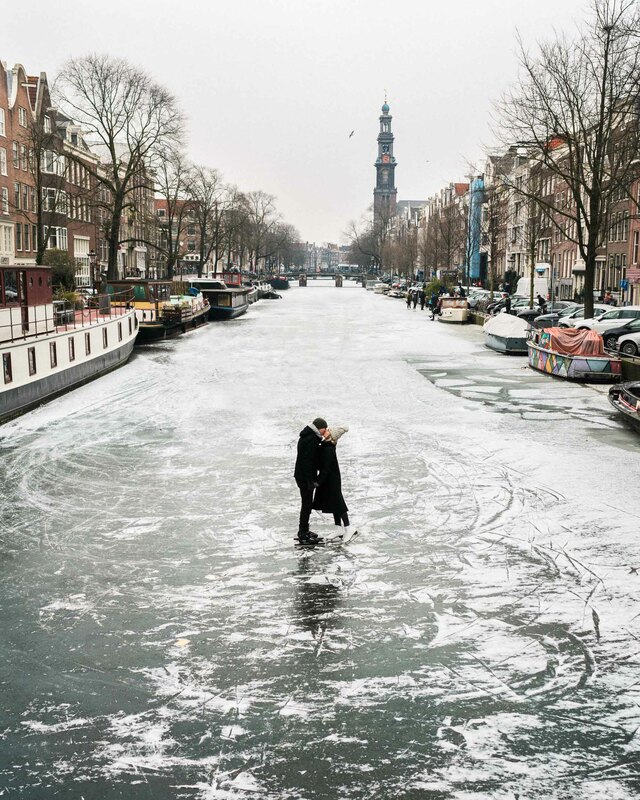 And sometimes, even frozen-over canals! Price range + currency: $$ – $$$, Euros. It really depends on if you stay outside the city center, since prices for stays in the main part of Amsterdam are notoriously higher. Where we’ve stayed: The Hoxton Amsterdam is an easy favorite for its prime location and trendy restaurant and spaces. We also love the Pulitzer Amsterdam, which is spread across 25 historic canal houses. 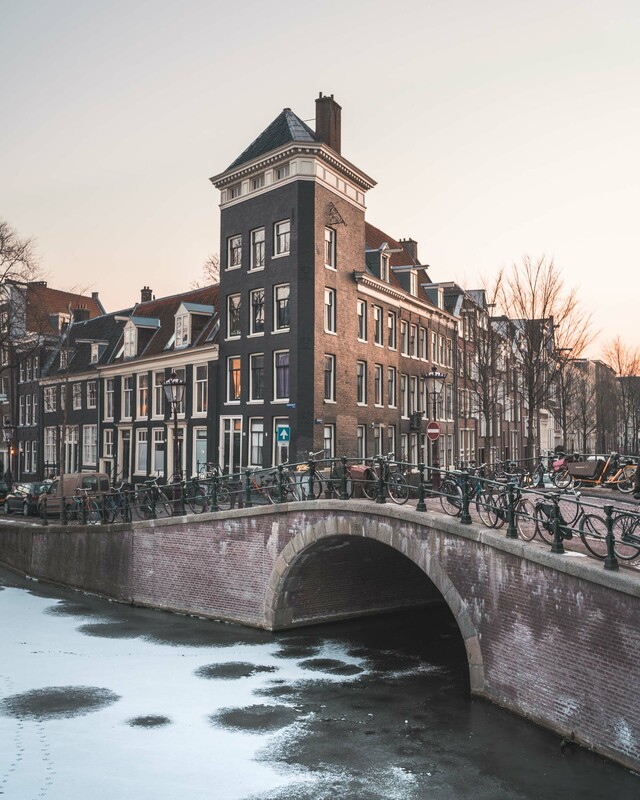 Of course, there are always unique options on Airbnb – check De Pijp and Jordaan for some affordable, trendy neighborhoods (here’s $40 off your first booking). The 9 streets shopping area all the way to Dam Square, which is decorated for Christmastime each year. Ice-Skating in Museumplein, starting in November. There’s nothing like skating in front of the grand Rijksmuseum. If you’re visiting in November, book tickets for Museum Night. It’s when all the museums in the city stay open late and serve food, drinks, and even host small concerts. 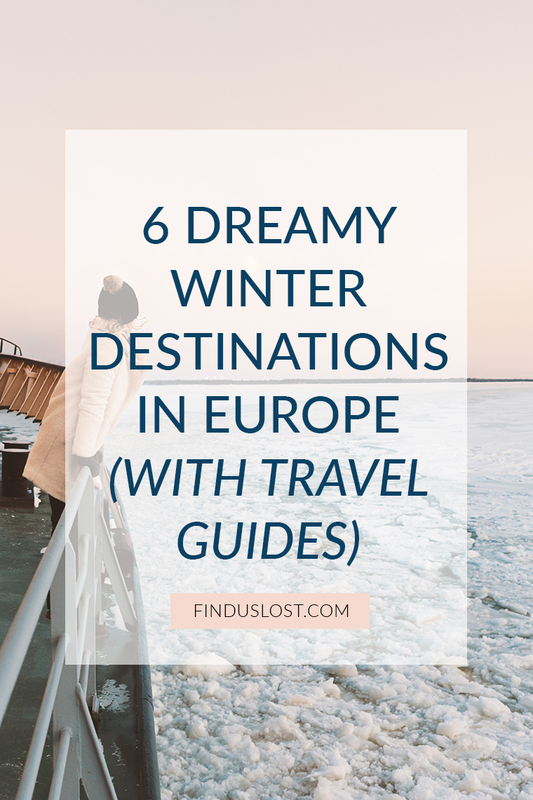 I can’t wait to add more winter destinations to my arsenal for the next list! 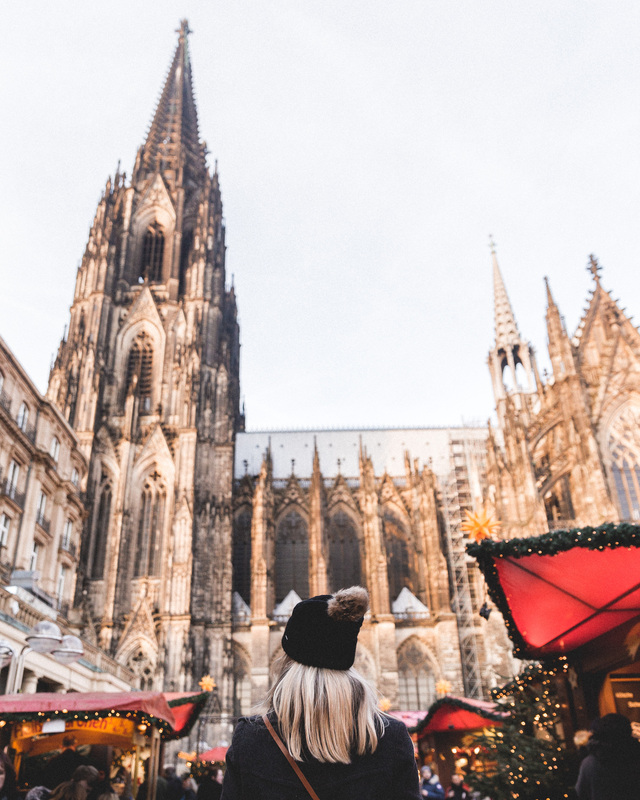 Any European destinations you’d recommend we visit this time of year? All great places too! 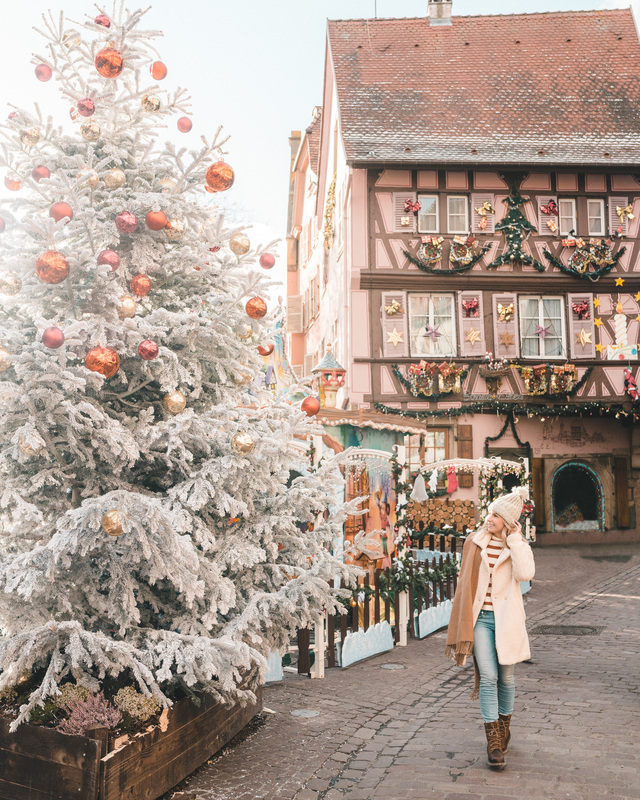 We explored Alsace while during our Christmas market tour — so dreamy. Lovely Post! We like your site a lot! Keep up the Good Work and Great Content coming! Safe Travels – Stay Awesome! This is such a great list! I will try to make it to some of these when I move back to Europe. Your editing style is literally perfection. This list comes just at the right time because I’m already thinking about snow. 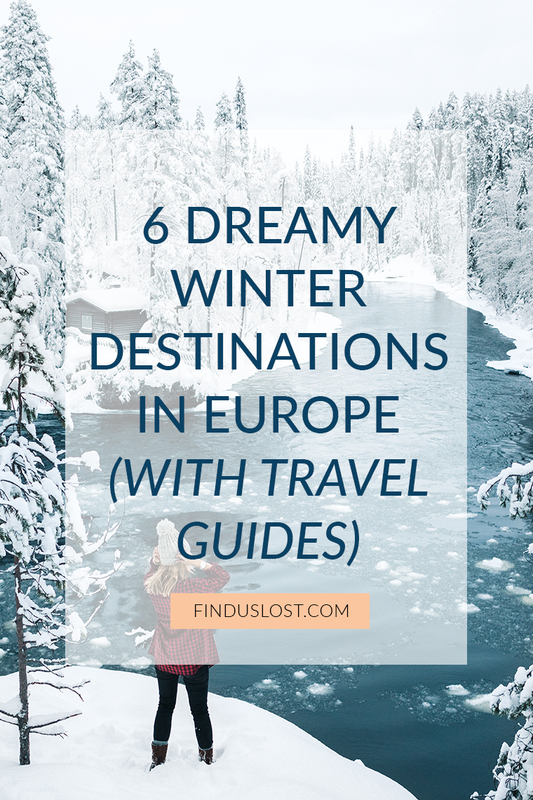 Finland is definitely on my list and I’m so glad you included Transylvania as one of your dreamy destinations for the winter. Love this!!! What kind of camera do you use? which one is better France or Switzerland? Hey Katie — it COMPLETELY depends on your personal preferences for travel. What destinations are you considering? And what time of year? Great post! 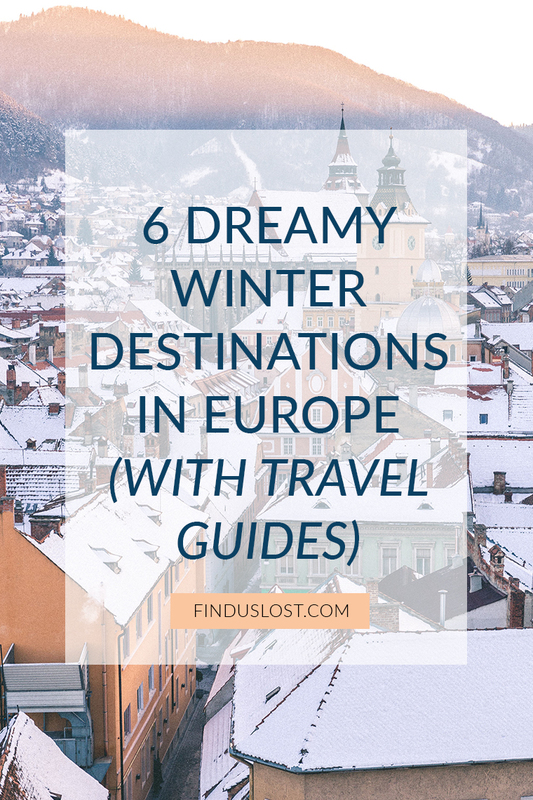 Europe is a very fantastic place to visit.I actually love travelling in winter. 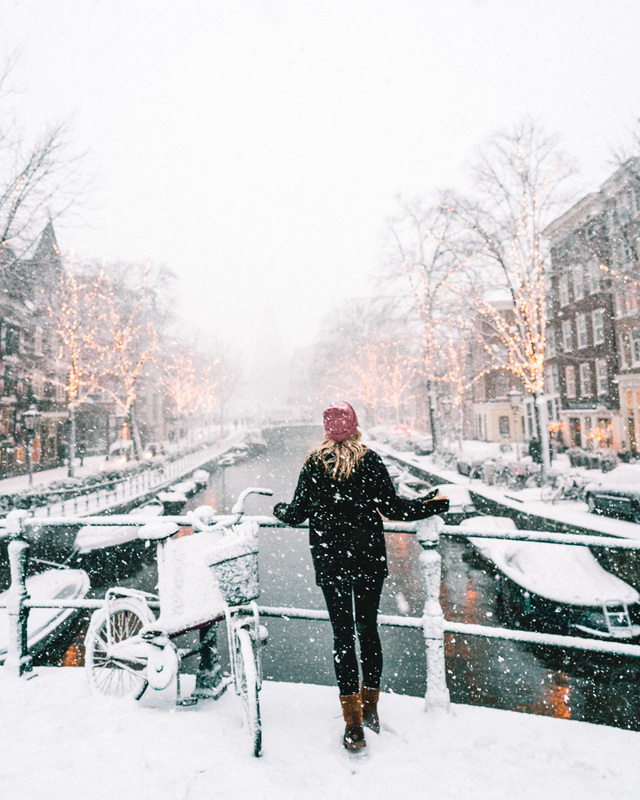 i want to see snow I would love to go Europe this time.Ur images are simply superb…. It’s a great time to start planning 😉 thanks so much!